We are pleased to announce that effective July 21, Royal LePage has acquired the Coast Realty Group brokerage and property management business and will operate it under the Royal LePage banner. Established in 1984, Coast Realty Group is a large, independent real estate brokerage with more than 150 Realtors® operating out of nine offices on Vancouver Island and one office on the mainland in Powell River, BC. Barry Clark and Travis Carmichael, broker owners of Royal LePage Nanaimo Realty have acquired, and will merge their brokerage with, Coast Realty Group offices in Nanaimo and Ladysmith, and on Gabriola Island. The merged brokerage will operate as Royal LePage Nanaimo Realty. Clinton Miller, broker owner of Royal LePage Port Alberni-Pacific Rim Realty has acquired the Coast Realty Group offices in Port Alberni and Ucluelet. The Port Alberni office will merge with Clinton’s brokerage in Port Alberni, and the Ucluelet office will be a branch office of that location. Both offices will operate as Royal LePage Port Alberni-Pacific Rim Realty. Clinton Miller, broker owner of Royal LePage Parksville-Qualicum Beach Realty has acquired the Coast Realty Group offices in Parksville & Qualicum Beach. 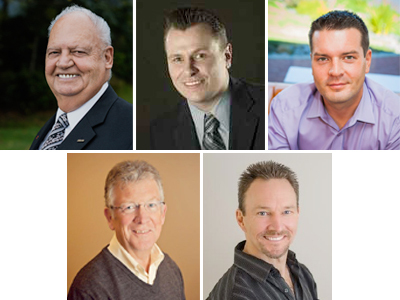 The merged brokerage will operate as Royal LePage Parksville-Qualicum Beach Realty. Gregg Hart, broker owner of Royal LePage in the Comox Valley, has acquired, and will merge his brokerage in Courtenay with the Coast Realty Group office in Courtenay. He has also acquired Coast Realty Group’s offices in Hornby, Denman Island, Cumberland and Union Bay, and will operate them as satellite offices of the Courtenay location. The merged brokerage will operate as Royal LePage in the Comox Valley. ​Stephen Grant, broker owner of Royal LePage Advance Realty, has acquired the Coast Realty office in Campbell River, and will merge it with his existing Royal LePage brokerage in Campbell River. The merged brokerage will operate as Royal LePage Advance Realty. The Coast Realty Group office in Powell River will be converting to Royal LePage in the next 30 to 60 days. We are currently in discussions to determine which Royal LePage brokerage this office will be associated with. With this acquisition, Royal LePage becomes the largest real estate company on Vancouver Island, with more than 500 Realtors® working out of 21 offices and five satellite locations. Combined, we will now enjoy #1 market share, based on unit sales, in 80% of the markets served by the brokerages participating in this transaction.